While no amount of reading will teach you how to sail, books and magazines can help you learn some things about sailing and a lot about different kinds of sailboats, what they're good for, and at least as important, what particular sailboats are not good for. I am in the middle of buying a sailboat. I have started buying one, have looked at some boats and have a fairly good idea what I want. I have read a fair number of books along the way. Before buying a sailboat, you should know something about sailing. If you haven't been sailing, don't buy a boat. Instead, go sailing with a friend. If you're like me and don't know anyone locally who sails, take a sailing class and rent a boat from a local sailing club. You learn a lot about what you like and don't like while sailing. Your personal preferences will have a big effect on the sailboat you want to buy. On this page, I examine some books about buying a sailboat. I also discuss some magazines, because they're useful sources of information, and some general books on sailing. 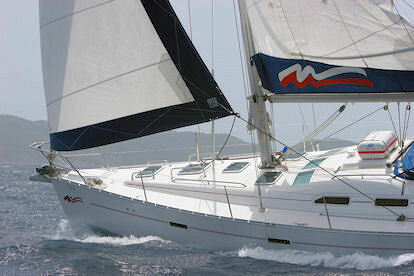 You can make a better choice of sailboat if you know more about sailing. Even though you can't learn how to sail just reading books, it would have been hard for me to learn to sail as well as I can without ever reading a book about sailing. Magazines are a ready source of information. A magazine article generally conveys basic information in a concise form. It is possible to learn quite a bit reading magazines. Sometime what you learn is that you disagree with the article's author, but that is fine too. Articles in sailing magazines tend to be reasonably short with colorful pictures. Colorful pictures are very nice on a bleak Winter day. Sailing magazines include reviews of boats, mostly new ones but older ones in some magazines. They also include stories about sailing trips, charters, misadventures, long-term cruises, racing, and a multitude of other topics. I would be surprised if you decided to buy a sailboat and bought one without ever reading a sailing magazine. It is possible, but it seems improbable. I read a couple of sailing magazines regularly and have sampled quite a few. There are a lot of sailing magazines. It's inconceivable that anyone reads all of them regularly. Sail magazine has interesting articles on voyages, short-term cruises and sails on local lakes. It has articles on maintenance, sailing trips and errors, and reviews of new boats. The reviews of new boats may depress you if, like me, you are not rich. The definition of rich here is someone with more money than I have. You can get the impression from the reviews in magazines that you can forget about sailing unless you can afford to drop several hundred thousand dollars on a new boat. Fortunately that's not true. Think of these reviews as being like the reviews in Car and Driver. It's fun to read about someone driving a $150,000 car but I do not walk because I can't afford a Ferrari. Instead, I have a Mustang GT. Most of the sailboat reviews are the same way. You probably can't afford a $300,000 sailboat but it can be interesting to read about them. If you don't think that the reviews are interesting, don't read them. In any case, you can spend far less than $300,000 on sailboats that are quite capable of sailing around the world, let alone a lake. Cruising World is a magazine that we got free after completing a sailing course and we have kept up the subscription. Cruising World seems similar to Sail with fewer how-to articles and more articles about cruising. This is fair enough given the title. The articles can be fun. Among other articles, they have a continuing series of articles by Fatty Goodlander and his wife Carolyn about sailing around the world. Many of the pieces are about cruising and people's exploits. This can be sort of Walter-Mittyish, but it also can help you learn what to do and what not to do. Sailing World covers racing. We subscribed for a year. While it was fun to read, I don't race and don't want to. (Work is competitive and I am Type A; I don't need to find a way to compete that would cost me money.) Its coverage of races is quite interesting. It has sections on rules and their interpretation. Its coverage of the America's Cup was excellent, and this excellence carries over to other races. Sailing is an oversized format magazine with spectacular pictures. I have picked up this magazine at magazine racks and now subscribe to it. Its inclusion of articles about sailing the Great Lakes is one big difference between this magazine and most of the others. Besides the gorgeous photos, reviews of boats by Robert H. Perry  a well-known sailboat designer  are another distinctive aspect of this magazine from my point of view. I have found the reviews of boats by Bob Perry quite informative. He seems to review boats fairly often without every seeing anything besides drawings. That is quite a skill. As a reader, I have learned a lot about sailboat design just by reading his descriptions of boats. Sailing also includes reviews of older boats. These are quite good and helpful. John Kretschmer  a delivery captain for some years and now a general entrepreneur with a wide range of experience of different boats  used to write the reviews. Some of his reviews are collected in two books discussed below. I have bought Sailing World at a few airports. This magazine also has an oversized format that makes it possible to have stunning pictures. For example, there is an article in one issue with spectacular pictures from a sailing trip around Ireland. Yachting Monthly and Yachting World are available in Europe, especially the U.K. and Ireland. I buy these magazines when I travel to Europe. Both of these magazines are very interesting with informative reviews of boats and new equipment, articles about sailors and their exploits and articles about sailing trips in Europe. Yachting Monthly is more centered on the U.K. and Yachting World is more about areas around the whole world. I like these magazines a lot, even though I have no reason to think that I will be sailing outside the U.S. or the Caribbean any time soon. I don't know whether they're available at all Barnes & Noble's stores in the U.S., but copies of both Yachting Monthly and Yachting World were in the magazine section at a Barnes & Noble's store in Charleston S.C. in November 2008. Maybe they're becoming more available in the U.S.? With two exceptions, all of the sailing magazines seem to have a bias toward reviews of the sailing equivalents of Ferraris and Rolls Royces. One of the exceptions is Practical Sailor. Practical Sailor is quite practical. Much of it may seem irrelevant to you at first. Practical Sailor is the Consumer Reports of sailing and it includes long-term articles about the durability of marine paints structured quite similar to Consumer Reports' review of household deck stains. Someday this will matter and you may find it interesting even before you buy a boat. I do. I'm not sure what that says about me, but I'll leave that aside. You may want to read Practical Sailor while you're thinking about what boat to buy in part because it includes reviews of new and used boats. The new boats reviewed tend to be mainstream production boats. The used boats are all over the map. The reviews tend to be technical and, if you're like me, they are hard to understand at first because nautical terms are used without explanation. I find them pretty clear now, but it has taken a while. “Nautical terms” is a nice way of saying “sailing jargon”. After a while with other reading, the terms become more comprehensible. Good Old Boat is another magazine that includes a lot of information on affordable boats. Good Old Boat focuses on what the name suggests: good old boats. These tend to be less expensive than newer boats. Like good old cars, they also tend to be higher maintenance. The articles are very informative about older boats and, after reading this magazine for a while, you will begin to get the idea that you don't have to either sell your house and live on the sailboat or else be satisfied with a windsurfer. The tone of some articles is a little disparaging about nice, new boats, an attitude that I don't get. Just because I can't afford a Lamboghini doesn't mean it's not a great car. Each issue includes at least one article on a particular older boat. Generally one of these articles is followed by a short, clear evaluation of the boat by Ted Brewer  a well-known sailboat designer. His evaluation also includes a comparison of the spotlighted boat to other similar boats, which is really helpful. Good Old Boat is published in Minnesota and includes articles about sailing in the upper Midwest. This is a distinguishing feature of this magazine and Sailing. If you're like me, you may not know a lot about sailing when you start thinking about buying a boat and going sailing. If so, you may want to pick up a few books on sailing, weather, rules of the road and a myriad of other things. We took organized courses to learn how to sail. While I knew some people who sailed, they either did not have the time to be instructors or were not likely to be particularly good ones. A few of them also did not have a sense of safety anywhere near my wife's. Sailing courses seemed sensible to try to gain her confidence in the whole venture. While she is a good sailor, she still is a reluctant one. But the courses helped a lot. We took our first course on Lake Lanier from Lanier Sailing Academy and additional courses from Offshore Sailing School. I can't say one school was better than the other; they're just different. That's probably true for other schools as well. A cruising course in the British Virgin Islands was quite helpful. We had been sailing with friends for a week in Rhode Island before taking the course, but the course focused on teaching us what to expect when we went sailing on our own. While there were some exciting bits during our first trip alone, it went reasonably well. The course helped. For learning how to sail, the U.S. Sailing Association and American Sailing Association books written for their courses are very informative. The book on the left is the first book in the U.S. Sailing Association series. It was news to me when I studied it. (That's another way of saying the book was very informative.) I used the books in on-the-water courses and can't speak about how informative they are without an instructor helping you sail at the same time. In combination with good to outstanding instructors, I have learned a lot from them. Colgate (1978, 1996) is an outstanding summary of information on how to sail and sail well. Some friends gave me this book, and I have read and reread it. There is a lot in it about all aspects of sailing. I learned some things on my initial reading and have learned more as time goes on. Marshall's Sail Better (1996) and Siminoff's (2001) Boating 101 are books that I happened to buy in bookstores and are interesting to read. Both include some sailing tips that I have not found elsewhere. That said, if you are like me and can't go sailing every weekend, it is hard to absorb helpful sailing hints from a book and put them into practice. While Marshall (1996) and Siminoff (2001) will not eliminate all of your mistakes, they will reduce their frequency. Since we go sailing for a week or so once a year, I have gotten more value out of focusing on one skill each year. For example, one year I focused on weather. Now you might say that learning about the weather in a benign environment like the Caribbean is not exactly hard. In my defense, we go during the Summer when one tropical wave follows another. It is helpful to have a better understanding of their significance in the development of hurricanes. I didn't know anything about tropical waves before we went to the Caribbean. Tropical waves are not exactly a big issue in Lawrenceville, Georgia. I also knew that the nightly rain in the Caribbean was an annoyance. The rain dropping through the hatch onto my face wakes me up, I close all the hatches, and sometimes I have to wait only a minute or two to open the hatches up. Sometimes this happens three times in one night. Not exactly a solid night's sleep. This seemed odd. In Lawrenceville, our Summer rain always is in the afternoon. Want to know why this happens? Read Kotsch's (1983) Weather for the Mariner. If you want to understand the weather and will be using that knowledge at sea, Kotsch (1983) is a great book. This book provides explanations of why weather develops, why the trade winds blow the way that they do and what to look for in weather developments. I had read several other books on weather and had learned virtually nothing. I was getting quite down on the whole thing and was about to give up trying to learn about weather. This book, with its informative discussions and applications to developments at sea, explains the weather clearly and carefully. Kotsch's book is a Naval Institute Press textbook for the Naval Academy, so I didn't absorb it all right away. But the book repays rereading. The publication date is over twenty years ago. Is the book out of date? You will notice the publication date when you read about satellite systems and hurricanes. We have more substantial satellite systems and know more about hurricanes. On the other hand, knowledge about low pressure systems hasn't changed that much. It is the best book around by a wide margin. That said, this may not be the book for you. If you are looking for rules of thumb to memorize about the weather, this book is overkill. A better alternative for you may be Weather at Sea by David Houghton. I found Houghton's (2006) Weather at Sea really informative after reading Kotsch (1983). As a first book, Houghton covers the topics too fast for me to be able to get the significance of what's being said. This is a short book, only 80 pages long. After reading something else and having some understanding of overall weather patterns, the discussion and pictures of weather maps, clouds and hurricanes are unbeatable. On the other hand, if you're looking for rules of thumb and can remember them, this book may be all that you want. I am horrible at memorizing rules of thumb. I can remember things after I understand them. If you can remember rules of thumb and don't really care about why they work, try this book first before delving into Kotsch. The link to the left is to the 2006 Fourth edition of Weather at Sea. I first read the 1998 Third edition and bought the new edition just to see how different it is. The fourth edition is not much different. You probably will be just as well off buying a used copy of the earlier edition if you find one cheap. I wouldn't get an edition more than ten years old, because there have been too many recent changes in weather technology such as satellite systems. Chapman's Piloting (2013 and earlier years) and The Annapolis Book of Seamanship (2014 and earlier years) are classics of boating including sailing. They contain a great deal of useful information. I use them the same way that I use dictionaries. I tried reading them, but that didn't seem very helpful. Both Chapman's Piloting (2013) and The Annapolis Book of Seamanship (2014) are useful for looking up things, such as the rules of the road and lights, not for reading about sailing or, more generally, boating. The Annapolis Book of Seamanship (2014) is available in Kindle format and that is the way to get it. It is more like an encyclopedia and computerized searches are great for encyclopedias. It is the reference and well worth having. It is too bad that Chapman's Piloting (2013) is not available in a digital format for your ocmputer. That really would be worth having! Still I have it in paper and read parts of it off and on. It just is not so ready at hand as a computer file. Choosing a sailboat is hard. Worse, choosing books to help choose a sailboat is almost as hard as choosing a sailboat. Which books are useful for learning what? To me, buying a sailboat has quite a few similarities to buying a car. There are many different kinds of sailboats, different sailboats are good for different things, and different people want to do different things in their sailboats. Some people want a Cadillac, some people want a Honda, some people want a Porsche, and some people want an SUV. For most of us though, there is a major difference between buying a car and a sailboat. Most of us have been driving since we were teenagers. We have a good idea whether we prefer small cars or big cars, fast cars or slow cars, and manual transmissions or automatic transmissions. Do you want a manual windlass, electric windlass, remote-control windlass, or no windlass at all? What is a windlass anyway? It is a very small part of buying a boat, but not completely irrelevant since they are not cheap. If you don't already know about windlasses, it pays to learn about them and much else besides before you buy a boat much over 20 feet in length. When reading books, you often will find yourself reading terms that you do not understand and that do not have a readily available definition. Get used to it. It will happen a lot. Yes it's frustrating, but no book or magazine article can know exactly the terms that you know and that you don't know. There are a lot of terms in sailing, and I mean a lot, and many are not apparent. I was perusing the glossary to a book one day and came across the word baggywrinkle and an explanation of what it is. Before then, I had run across this very odd word a couple of times and had no clue what it meant from the context. (Apparently baggywrinkle is recycled line used to prevent sails from chafing on lines. Who could guess that from the conjunction of “baggy” and “wrinkle”?) I did not find a ready definition when I first read it and just kept reading about the sailing adventures. I still don't know how to install baggywrinkle if I need it. (I think it will be a while in the future anyway.) There's always more to learn in sailing. That's one of the things I like about it. Gustafson (1991) is a good survey of the issues involved in buying a boat. He gives a nice overview of the whole process of buying a boat. He pointedly asks the basic question. Do you really want to buy a boat? It might well be cheaper to sail without owning a boat, and many people do. This is a tough question to ask because it puts your budget up against your dreams. It is an important question. Buying a boat is expensive and selling one is expensive too. If you buy a boat, hardly use it or can't afford it, and then sell it, you will be noticeably poorer for the experience. Most people don't rent cars because they use their car all the time. Most people don't sail all the time. Renting boats can be a sensible  and even great  way of going sailing. It is possible to rent boats in the most exotic locations in the world. We have rented boats for day sails on Lake Lanier, Georgia and Charleston, South Carolina. (Not exotic, I know.) 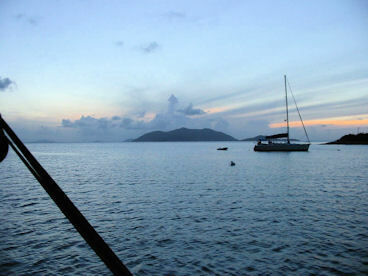 We have chartered boats for the last few years in the British Virgin Islands and the Grenadines. We have had a great time each year in the Caribbean for less than the cost of docking a sailboat in Charleston, S.C.
Gustafson (1991) is not readily available any more. Still, I found it a nice, readable book that could be digested in several hours. It assumed as much as I knew: basically nothing. If you can find a copy somewhere, I strongly suggest reading it. It really helped me. Daniel Spurr's (2004) Your First Sailboat is readily available and is a more thorough book than Gustafson (1991). Spurr (2004) goes into more detail than Gustafson (1991) about what to look for in a boat, the different styles and the effect of age. This is very informative. You can read more details about these subjects later but you will have a fair amount of basic information from reading this one book. That said, I have to wonder about some of the chapters. One chapter is titled “How Do I Get Back to the Dock?”. Take my advice: If you don't know how to get back to the dock, do not buy a boat! Or at least not a boat that costs more than what seems like a trivial amount to you. (In my case, that would be a few hundred dollars.) Know a lot more than how to get back to the dock before you buy a boat that cost tens of thousands of dollars. You may find going back to the dock so intimidating and difficult that you don't ever want to do it again. Probably not, but you never know until you try it. There are other chapters on topics such as how to raise the sails. These chapters also are not very helpful for buying a boat. A very good part of the book is Spurr's summary of 75 different boats' qualities. Spurr is a very knowledgeable sailor and his knowledge shines through in this section of the book. The boats range from eight-foot boats big enough for only one person to catamarans big enough for a large family. Or put differently, they range from boats that should never go much beyond shouting distance of shore to boats that have gone around the world. Overall, this is an excellent first book on buying a boat. And the relatively low price doesn't hurt. What Will You Do With A Sailboat? Roughly speaking, there are four types of sailing: daysailing; coastal cruising; offshore cruising; and racing. Daysailing is just that: sailing for the day and going home. Coastal cruising is traveling on the boat, possibly long distances, but not more than a few hours from some safe port or anchorage. Offshore cruising is sailing well away from shore for extended periods. I cannot imagine that you will start to learn much about racing by reading books. You want to start by racing on someone else's boat. There are books about sailboats in general including setting them up and books about collections of specific sailboats. Books about sailboats in general discuss the usefulness of various characteristics and any disadvantages. They are useful reading unless you plan on buying a boat other than a relatively simple daysailor, in which case the short summaries in Spurr's book Your First Sailboat probably are more than adequate. If you plan on buying a boat twenty feet or longer or you plan on sailing it overnight, you will benefit from reading at least a little about sailboats in general. Besides, you might find the books interesting reading. After you've learned about the characteristics of boats in general, comparisons of specific sailboats will be a lot more informative. Much of the focus of available books is on offshore cruising. Possibly this is because authors tend to be offshore cruisers; writing books is one way to earn money to pay for extended trips. Possibly more books on offshore cruising are sold because of demand. 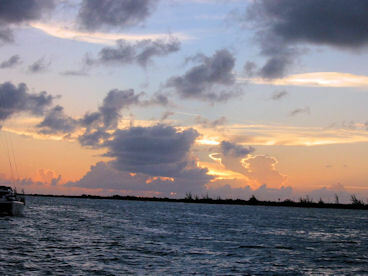 It is more fun to imagine sailing in Tonga than in Charleston Harbor. Whatever the reason, it's a problem if you're not sure what you want to do in your boat. You might think that Roger Marshall's book (1999), Choosing A Cruising Sailboat, is about choosing only offshore cruising sailboats, or at least cruising sailboats. You'd be wrong. This book is quite helpful for deciding about characteristics of coastal cruisers and even daysailors. How does Marshall cram all this in 210 pages including numerous figures? Marshall compares the designs of five different boats: a weekender; a cruiser; a voyager; a single-hander; and a cruiser-racer. All of these boats would be relatively expensive, but that is irrelevant. The comparisons of features among the boats gives you serious food for thought about what features are important for what type of sailing. Then you can start thinking about how much inconvenience or how much complication is right for you. The title of John Vigor's Seaworthy Offshore Sailboat (2001) suggests it is about offshore cruising only. In part, that is correct. He does talk about offshore cruising. There are a lot of comparisons of offshore cruising to coastal cruising and daysailing boats though. These comparisons help clarify why you don't need certain equipment for coastal cruising, let alone daysailing. He can help you avoid getting a boat that has equipment that's really of little value to you. Vigor does a particularly nice job of explaining the advantages and disadvantages of various configurations and dimensions. For example, he discusses widths and lengths of bunks in about a page of text (pp. 140-41). I have found few such discussion elsewhere, and that's very helpful. After all, even on a sailboat, sleeping well is important if you will be on the boat for a few days or longer. The single best book on the overall question of buying and outfitting a boat for cruising is Beth Leonard's The Voyager's Handbook: The Essential Guide to Bluewater Cruising (2007). Besides offshore cruising, the book is quite helpful for coastal cruising, or just sailing around San Francisco Bay or Charleston harbor in a boat that's 30 feet long or more. This is the second edition. The first is available used. I have read both. I strongly recommend buying the new edition. The first edition was very good, but it was like a lot of other such books. It had a fair amount of general information and was interesting. It lacked specifics. This edition is an impressive book packed with a lot of highly specific information and pictures. To give you an idea, she talks about alternative ways to set up anchors. She talks about keeping the deck clear so that you can walk to the bow without tripping on stays. Even if you have no intention of spending more than a week on your boat or ever being out of sight of land, these discussions will give you things to think about when you're looking at boats. You might think of them on your own. Then again, you might not. She talks about what people commonly do when they are out cruising and how much money they spend. And she doesn't guess or just say “do it my way”. She actually asked other people, enough of them to get a good general idea. Besides all this, she uses three families as examples of what it costs to go cruising, either spending extremely little, a moderate amount and a lot. Even if you are not going bluewater cruising, these examples will give you a good idea of the cost of different ways of setting up your boat. This can give you ideas about what equipment is realistic and what isn't for coastal cruising. Herb Payson (1997) and Jim Howard (2000) wrote books about equipment and organization for offshore cruising. If you think that you might be interested in offshore cruising in the boat that you will buy, they will be helpful. Payson's book is the more entertaining of the two. It is hard not to like a title like Advice for the Sealorn. Payson uses a question-and-answer format for topics and uses stories to make his points. If you are sure that you will only daysail, neither book has much to help you choose your boat. If you think that you might do some coastal cruising, then both Payson (1997) and Howard (2000) will be somewhat helpful. If you are coastal cruising instead of cruising offshore, you won't have to worry about your children's schooling, which you would if you have children and spend a couple of years in the South Pacific. That difference is obvious. Less obvious are some of the equipment differences. That said, it is hard to find sensible discussions of boats on coastal cruising alone. The cover of Nigel Calder's book (2001) claims that it is “the essential guide for choosing, equipping and sailing coastal or offshore cruising boats.” The book is strongest on offshore cruising boats. I think that it is less helpful for coastal cruising, where the requirements are not so demanding or expensive. Calder took delivery of a Pacific Seacraft a short while before writing this book; much of the book uses his choices as a benchmark for a solid cruising boat. For offshore cruising, I think that it is a fair benchmark. For most coastal cruising, it is not necessary to have such a heavy and expensive boat and not even necessarily desirable. I have to add that I liked reading Calder's discussion of features and he is mechanically and electrically adept. You want to be aware, though, that his focus is on offshore cruising, not coastal cruising. The books most dedicated to choosing specific boats are two by John Kretshmer, a two-volume set from Practical Sailor, a book by John Vigor and one by Gregg Nestor. Older, interesting books by Ferenc Máté with beautiful photographs are discussed below, but his books are less likely to include a specific boat that you might buy. You will learn about specific boatbuilders from his books but not so much about specific boats that are common today. I found it helpful to put together a file with the boats in these various books. You may find the Excel file BoatsInBooks helpful for deciding what books to get. John Kretschner has written a pair of books that are an outstanding summary of the characteristics of many older boats. They are contained in two books, one published in 2002 and the other published in 2007. The newer book is called The Best Used Boat Notebook and the older one is called just Used Boat Notebook, but there is no good reason for calling one book better than the other. Actually, they are more similar than different. With one exception, the newer one just has newer reviews. The one exception is at the end. Both books end with a section on ten great boats to sail around the world. The first book includes only used boats and the second one includes only new boats. This difference probably simply reflects a paucity of boats that were new in 2002 and used in 2007 and would be good for sailing around the world. John Kretschmer reviews used boats for Sailing Magazine. By itself, this may not seem terribly remarkable, but he is an experienced sailor who has sailed 35 different boats for 1,000 miles or more. His experience with many of these boats shows in the detailed reviews. It might seem, given his experience, that the reviews will focus on boats for offshore cruising. Not so. Many of the boats are not adequate for offshore cruising. While some of the 40 boats could be used for offshore cruising, most could not be used that way comfortably or safely. The first boat in the first book is a trailer-sailor, the O'Day 23 and there are many reviews of smaller boats. 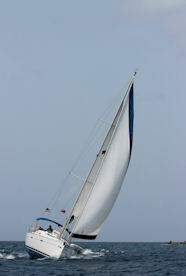 Many of the smaller boats are well suited for a daysail or a weekend cruise with flaky winds, although a few are not. The reviews follow a standard format that keeps each review on track. The introduction discusses the boat, the builder and its history. The review then discusses the boat's characteristics in the same sequence in every chapter. This format makes it easy to compare characteristics of boats because the same characteristics are discussed in the same section for each boat. This format lacks in originality for reading the book from cover to cover, but I was not reading the book mainly to be entertained or amused and you probably won't be either. The writing is lively and interesting. A standard format could be associated with a plodding writing style. It's not. For example, the title of each chapter is the name of the boat, such as the "Irwin Citation 34," but the sub-title of this particular chapter is "Inexpensively built coastal cruiser with great potential." The sub-title does an outstanding job of summarizing the chapter. The review informs you about the boat's history, its construction, its most common problems, its layout and its characteristics when sailing or motoring. But Kretschmer interlaces this discussion with interesting and informative discussions of his experience with the boat. Overall, this is a very helpful book. While, for me at least, just one book or even two books on various sailboats would not be enough, these definitely are two of the best. Practical Boat Buying (2003) is a collection of reviews from Practical Sailor. The reviews cover boats from 20 feet to 64 feet, although all but four of the boats are less than 50 feet long. The reviews are from different dates, and I can't figure out when they were written. In some cases, the price information has been updated, which eliminates a clue to when the articles were written. That's not a complaint. The updated price information makes the articles more informative than they would be otherwise. I think that Practical Boat Buying (2003) has no substitute on my bookshelf. It gave me a clear idea of various boats' features and their advantages and disadvantages. I cannot use them uncritically. I went to the Charleston Boat Show to look at a Catalina reviewed by Practical Sailor and discovered their evaluation of the accommodations and mine were quite different. Still, I know of nowhere else that you can get such wide ranging, detailed reviews of boats from 20 to 50 feet. Gregg Nestor's book “Twenty Affordable Sailboats To Take You Anywhere”(2007) delivers on the promise of the title. The book includes straightforward summary reviews of the characteristics of 20 boats. The boats are from the 1970s and 1980s and 30 to 38 feet long. This is large enough to be moderately comfortable for an extended period for many people. The boats are available in North America for prices ranging from $20,000 to $70,000, which is an “affordable” range for most people who want to go “anywhere”. The summaries are reasonably informative and clearly written. Each of the chapters covers a single boat using the same outline for every boat. The review of each boat covers the functional parts of the boat and includes a section on “Things to Check Out” and owner's comments. While using the same outline for every chapter makes it easy to compare boats, it results in a book is not interesting to sit down and read from cover to cover. It is too bad that the reviews were not spiced up by interesting stories related to each of the boats. John Vigor (1999, 2010) discusses a selection of the older, smaller and therefore less expensive boats that can be safely taken on offshore cruises. The boats are 20 to 32 feet long and are available in the United States for several thousand dollars to $50,000. Vigor discusses twenty such boats. Each of the boats has been sailed around the world. There are informative drawings of the boats although no photographs. The book is quite short -- 131 pages -- although the print is not large type, the material is pointed and informative and the book is relatively inexpensive. If you are thinking about buying a Pearson sailboat from the 1970s, you want to read the discussion of this and similar boats in Vigor's book. Even though I am not planning on offshore cruising in the near future, I learned quite a bit reading the discussions of boats' features and the tradeoffs. I also enjoyed them; the book is nicely done. I'll know a lot more about some of the other boats in the marina because of this book, and I know more now about some boats for sale at the marina. Buying a used boat has similarities to buying a used car. Some used boats are in very good shape, some are in terrible shape, and age takes its toll in all cases. I hasten to add that sailboats fortunately can last in serviceable shape far longer than cars. If you are spending more than a few thousand dollars, you will want to have the boat surveyed before buying it. A boat survey is similar to a house inspection, just more expensive. As a result, you want to learn to spot the more obvious problems and avoid the expense of a survey which the boat will fail. We looked seriously at one boat and almost bought another boat in Summer 2014. My reading and little bit of experience told me that one boat was not for us. The second boat was gorgeous but the survey revealed that the meticulous upkeep of the boat's appearance was not matched by upkeep of the mechanical and rigging systems. While it might seem that I could have spotted the problems, I didn't. It was a lot of money but it was a lot less money than trying to deal with the problems with virtually all the working systems. Mustin (1994) goes into substantial detail about fiberglass sailboat construction and what can go wrong. The information is very helpful because you will find many other books that discuss boat construction and don't provide enough information to really follow the discussion. For example, Mustin explains how fiberglass is laid up. He explains how problems arise in the process and how to look for the ill effects of problematic construction. This could get extremely technical, but Mustin's clear explanations didn't go past my very limited knowledge of chemistry or physics and probably won't overwhelm you either. Mustin's (1994) book also is helpful for comparing sailboats. He explains alternative ways of putting sailboats together and their implications. When these differences show up on specific sailboats, you will have the background from Mustin (1984) to understand the effects on the boats. Casey (1997) discusses what can go structurally wrong with sailboats and how you can tell. Drawings illustrate every short paragraph in the book. By the time you're done reading the first 120 pages, you wonder &ldquo;How in the world will I ever remember all this?” Then you find out how. A little over ten pages is devoted to what to examine in a 30-minute survey of a boat. This survey repeats selected points from the text. I at least have a chance of remembering them because they were the most important points of the original 120 pages. This is great reinforcement. And it's easy to take copies of ten pages with you or make a checklist so you don't forget something. This is a great book. It makes me feel like I have a shot at finding problems. I read it before I went to look seriously at two boats. It helped me spot some serious problems with one of the two boats and made me more comfortable with my decision to not consider it further. Nigel Calder's Cruising Handbook (2001) has a 15-page checklist in small type on big pages. Even he (p. 258) says “To go through this entire questionnaire relative to any boat could easily take days (maybe weeks)!” That's not terribly helpful. It's impossible for me to imagine having the time to spend days looking at each of several boats! Casey's list, on the other hand, is practical and focuses on basic issues affecting used fiberglass sailboats. After having read the book, you remember it pretty well. Then, after having done the tests on a few boats, it doesn't take much more than 30 minutes to examine all the basics. Now you may wonder: How many books has he read? Actually I've read quite a few more. I read a lot; it's an occupational hazard of being a professor. In these summaries, I have mentioned the books likely to be useful to someone thinking about buying a boat. I know that I have found them useful. I wouldn't suggest to anyone that they read them all. I've tried to provide enough information about each so you can tell whether a book or magazine might be useful to you.